One of the most common, yet avoidable, problems when it comes to auto paint is swirl marks. While these swirl marks can usually be removed, prevention is always the best approach if you want to keep your vehicle in top condition. Here are a few examples of what you should beware of if you hope to prevent swirls. 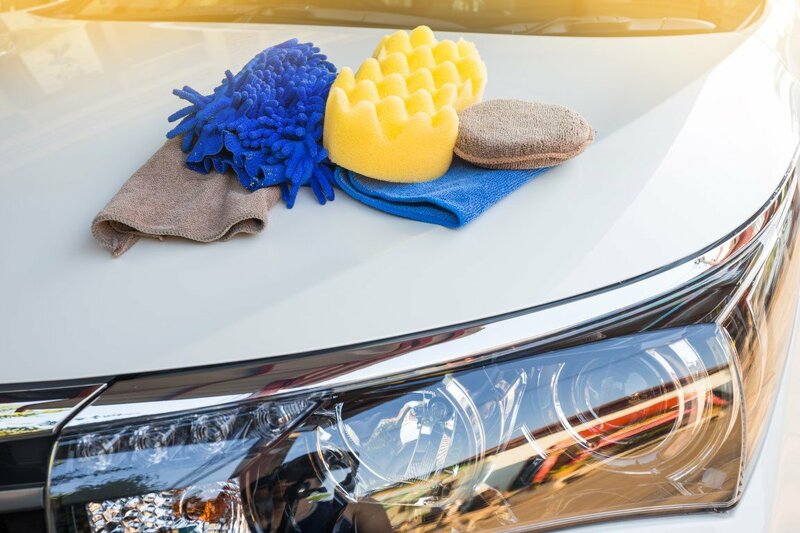 If your vehicle has recently been washed or detailed and, just a few days later, you notice dust all over the exterior; you might be tempted to wipe it off. While you might be able to dust your home and office with a dry cloth, you cannot do this to your car. Applying some kind of cleaning solution will at least ensure that the dust is gently lifted off the paint and this means that you can wipe it away without causing scratches. If you simply wipe with a dry cloth, the dust plus the cloth will transform into the equivalent of sandpaper. There are a number of quick wash options that won’t require too much time and effort. You could even have your vehicle detailed regularly and avoid wiping or washing your car in between to prevent swirls and scratches. When you cover your car with a car cover, it’s important to make sure that your vehicle is clean first. Even if your car cover is spotless, any dust or dirt on the car will end up caught between the paintwork and the car cover. So, as you fit the cover in place and if the cover shifts due to the wind, it will rub these particles against the paint. This will result in a variety of forms of damage to the paint. You might think that washing your car yourself, by hand, is the best way to protect it from damage. While a hand wash usually beats the alternative of an automatic machine wash, it’s not necessarily your best option. The supplies and techniques you use are bound to be of a lower standard than those offered by professional auto detailing specialists. Their cleaning solutions alone are superior since detailing experts know which ones offer the best results. If you want your vehicle to look as good as possible for as long as possible, professional detailing is certainly the answer. Bad quality detailing products can damage your paintwork and using the improper tools will also result in less than pleasing results. This should not even be up for debate for vehicle owners of today. Automatic car washes are the most dangerous of all. Not only can they cause serious damage to your vehicle, but the brushes are used repeatedly without cleaning in between. This means that, if a really dirty or muddy car went through the wash before your car, it’s likely that much of that mud will remain on the brushes. Next, you drive your car through and wonder how these brushes could do such damage. Well, it’s not necessarily the brushes but rather all those sand and dirt particles that have stuck to them. Beware of automatic washes and, if you are strapped for cash, have your local auto detailer perform and express wash to save time and money. For issues with swirl marks professional car detailing is definitely the way to go. Even a quick wash by experts will leave your car in better shape than if you did the job yourself. Call Wash Me Now at (647) 607-5199 for complete interior and exterior detailing.